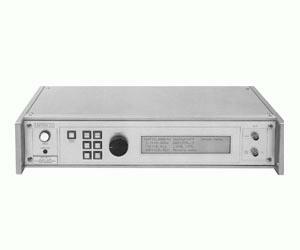 The AVR-9 series of pulse generators offer fast medium voltage pulsing with high current capability. These models are ideal for driving solenoids, pulse testing of MOSFETs, and other applications. Model AVR-9A-B provides up to 12 Volts into load impedances of 10 Ω or greater, with rise times of 10 ns and pulse widths from 200 ns to 2 ms. The pulse repetition frequency (PRF) is variable from 0 to 50 kHz, and the maximum output duty cycle is 50%. All models include a complete computer control interface. This provides GPIB and RS-232 computercontrol, as well as front panel keypad and adjust knob control of the output pulse parameters. A large back-lit LCD displays the output amplitude, polarity, frequency, pulse width, and delay.